Crinkle Metal Sheet, also known as Crinkle Bi-Metal, is a great 'cheat's' way of achieving a reticulated look. It immediately reticulates with lovely crinkled texture as soon as it is brought up to temperature with a gas torch - without the need for any surface preparation. It is fully annealed which makes it soft and easy to form. It can be formed before bringing out the surface texture and it will hold its shape perfectly. On this page we go into detail about how crinkle metal sheet works with tips and advice on how to use it. 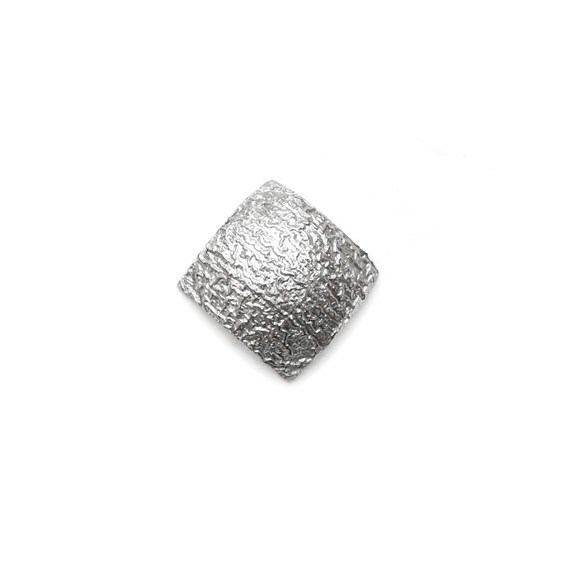 To view our Crinkle Metal Silver Sheet click here. 80% silver and 20%copper reticulation alloy on a fine silver (99.99%) back. The reticulation alloy is 1/6 of the thickness of the metal. It is shipped fully annealed, making it easy to form. Place the metal on a charcoal or similar heat resistant block pattern side up. The pattern will disappear on heating. Bring the piece slowly up to heat with a moving flame. When the metal reaches the proper temperature the surface will begin to form waves and then start to crawl as it crinkles up. A small oxidising flame works best. Remove the heat, cool and pickle as usual. The piece may be re-heated if there are any areas that you do not like. 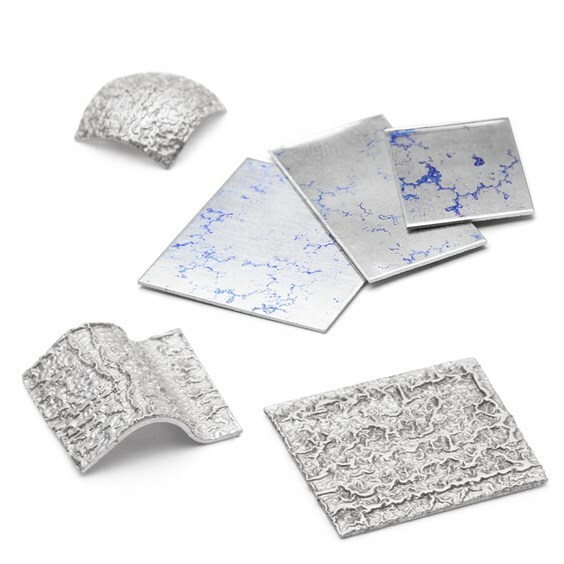 Overheating will cause the alloy to flow freely on the surface of the fine silver where it may be stirred with a soldering poker or metal brush for unusual effects. Granules, chips and other heat resistant materials can be dropped into the molten surface for even more special effects. Solder, pickle or patina as you would sterling silver. Fabricate with easy and medium solder and try to avoid hard. 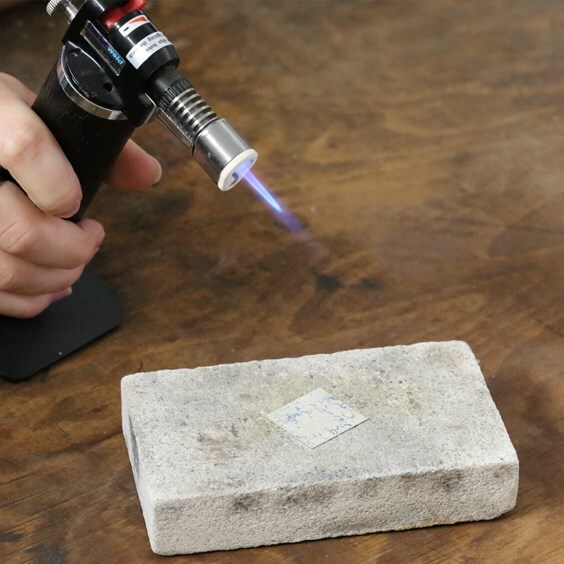 You may prefer to crinkle your metal before soldering as the heating required as soldering will cause the metal to crinkle. You will have more control if you keep the processes separate. Have fun and don’t be afraid to experiment with this interesting metal! 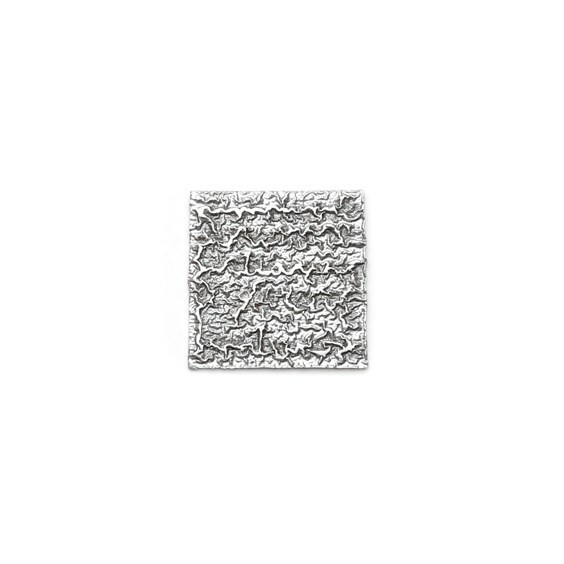 To view our Silver Crinkle Metal Sheet click here.